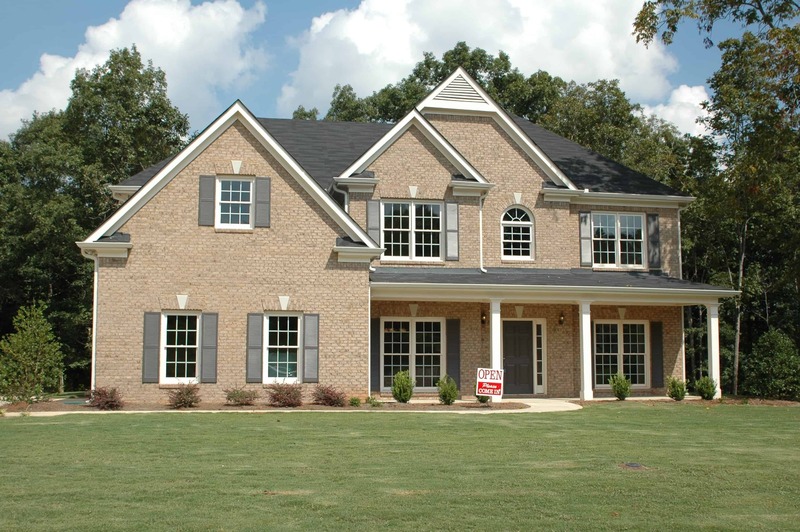 The arrival of spring signifies the busiest time of the year for realtors. Statistically, the month of May has the highest number of residential listings (CREA). The activity on the market is often related to the arrival of warm weather, which makes people want to get out and find something new! So, if you are a realtor, you are certainly looking to take advantage of the upcoming busy housing activity. At CSA Balloons, successful realtors have made a habit of using our services to boost up their sales. 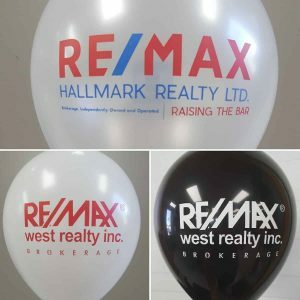 With the use of custom printed balloons, they are able to attract attention and be remembered with very little upfront investment. 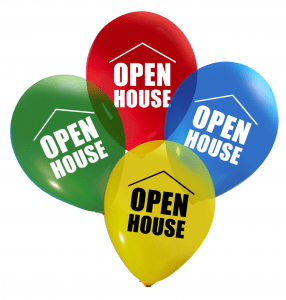 Why Use Custom Balloons to Increase Open House Visits? Balloons are a symbol of energy and joy. 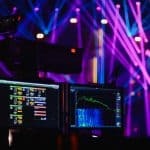 Colorful and lively, they immediately create an ambiance of wellness and, of course, they draw attention like nothing else can. Moreover, they are surprisingly inexpensive! Some of our clients benefit from the advantages of custom balloons for a whole year, and they will do it with only one order of less than a few hundred dollars. Balloons can do a lot to boost the real estate business. 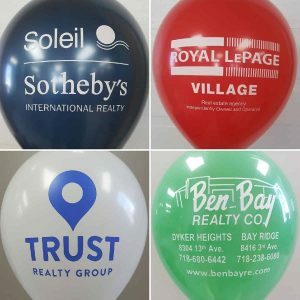 With a little imagination, realtors have found original and effective ways to get noticed, enhance their brand and increase their sales using custom printed balloons. Setting up balloons in front of your listed property will attract the attention of passersby. Potential buyers driving around looking for “for sale” signs in their preferred neighborhoods, will most likely notice the property that has balloons on the front door! 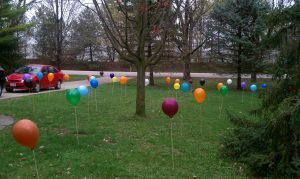 If the property has a front lawn, don’t be afraid to add some color by pinning your multicolored custom balloons in the grass. Who wouldn’t want to visit the most colorful house on the block? The average homebuyer will “shop” for homes for an period of about 3 months. During that time, they will probably look at several houses. So how do you get them to remember YOUR listing over the competition? How about distributing custom balloons as promotional giveaways? 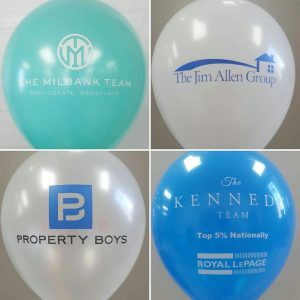 Most realtors will already distribute listing fact sheets and other materials during a visit, however adding a custom printed balloon to your package (for the kids), will set you apart from the competition. This trick can also be used if you are attending local events or even for your office visitors. This is a good idea for in-office displays. At CSA Balloons we can print any photo on custom foil balloons. So why not print a picture of your listings on 100% recyclable foil balloons. 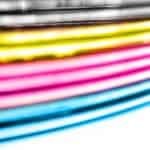 More durable than latex balloons, helium filled foil balloons will last several days and can make a great in-office display. When potential clients visit your office, they can take a look at the original display of upcoming open house events! Advertising your listings is great, however it is also important to promote your own services. This will push your brand, increase your reputation and, essentially, create more interest in your listings. Many real estate agents will enhance their presence at any event or location by using customized balloons. With wide-ranging colors and finishes, CSA Balloons will be able to create customized balloons that will fit your brand and logo. Realtors are always looking for new and inventive ways to stand out and build a brand based on professionalism and energy. Custom balloons can offer all those benefits. Home buyers don’t want cookie-cutter homes; so they don’t want a cookie-cutter way of being presented a property either! In the real-estate market, originality will always score points. Try something new this season. Order top-quality custom printed balloons today and see how we can help you sell your listings quickly.